Transparently immersive experiences, the perceptual smart machine age, and the platform revolution will impact business models in the next 10 years, reports Gartner. Gartner’s 2016 Hype Cycle for Emerging Technologies lists three distinct technology trends that are poised to be of the highest priority for organisations facing rapidly accelerating digital business innovation. These three overarching technology trends are transparently immersive experiences, the perceptual smart machine age, and the platform revolution. They will profoundly create new experiences with unrivalled intelligence and offer platforms that allow organisations to connect with new business ecosystems, reports Gartner. 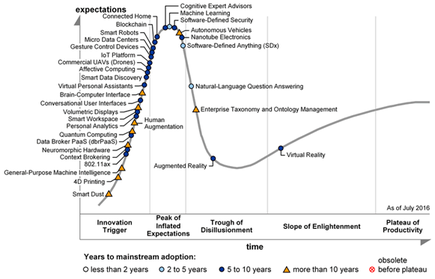 "The Hype Cycle for Emerging Technologies is unique among most Hype Cycles because it distills insights from more than 2000 technologies into a succinct set of must-know emerging technologies and trends that will have the single greatest impact on an organisation's strategic planning," says Mike J. Walker, research director at Gartner. "This Hype Cycle specifically focuses on the set of technologies that is showing promise in delivering a high degree of competitive advantage over the next five to 10 years," says Walker, in a statement. Transparently immersive experiences: Technology will continue to become more human-centric to the point where it will introduce transparency between people, businesses and things, says Gartner. This relationship will become much more entwined as the evolution of technology becomes more adaptive, contextual and fluid within the workplace, at home, and interacting with businesses and other people. Critical technologies to be considered include 4D Printing, Brain-Computer Interface, Human Augmentation, Volumetric Displays, Affective Computing, Connected Home, Nanotube Electronics, Augmented Reality, Virtual Reality and Gesture Control Devices. The perceptual smart machine age: Smart machine technologies will be the most disruptive class of technologies over the next 10 years due to radical computational power, near-endless amounts of data, and unprecedented advances in deep neural networks that will allow organisations with smart machine technologies to harness data in order to adapt to new situations and solve problems that no one has encountered previously. Gartner says enterprises that are seeking leverage in this area should consider the following technologies: Smart Dust, Machine Learning, Virtual Personal Assistants, Cognitive Expert Advisors, Smart Data Discovery, Smart Workspace, Conversational User Interfaces, Smart Robots, Commercial UAVs (Drones), Autonomous Vehicles, Natural-Language Question Answering, Personal Analytics, Enterprise Taxonomy and Ontology Management, Data Broker PaaS (dbrPaaS), and Context Brokering. The platform revolution: Emerging technologies are revolutionising the concepts of how platforms are defined and used, says Gartner. The shift from technical infrastructure to ecosystem-enabling platforms is laying the foundations for entirely new business models that are forming the bridge between humans and technology. Within these dynamic ecosystems, organisations must proactively understand and redefine their strategy to create platform-based business models, and to exploit internal and external algorithms in order to generate value. 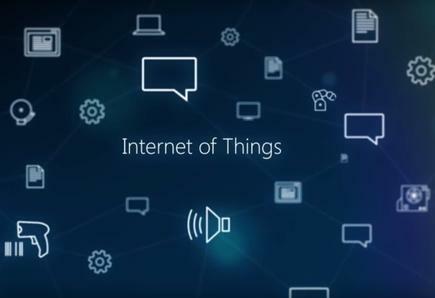 Key platform-enabling technologies to track include Neuromorphic Hardware, Quantum Computing, Blockchain, IoT Platform, Software-Defined Security and Software-Defined Anything (SDx). "These trends illustrate that the more organisations are able to make technology an integral part of their employees', partners' and customers' experience, the more they will be able to connect their ecosystems to platforms in new and dynamic ways," says Walker. "Also, as smart machine technologies continue to evolve, they will become part of the human experience and the digital business ecosystem." Smart machine technologies will be the most disruptive class of technologies over the next 10 years due to radical computational power, near-endless amounts of data, and unprecedented advances in deep neural networks. In a separate report, Gartner analysts Betsy Burton and David A. Willis point out the rise of artificial intelligence and machine learning add a new dimension to digital businesses. Technologies are emerging that can learn and evolve based on information they gather and analyse, and produce unanticipated results, they state. Early versions of this technology include smart apps, conversational interfaces, predictive analytics and virtual personal assistants. They point out when organisations think about AI technologies, they think of futuristic robots and systems. "The reality is that these technologies are evolving today, and enterprises must begin to figure out the right use cases and when to consider adopting."